As spring is blooming and patio chairs are unfolding under the sun once again, the wine glasses in your cabinets are just begging to be brought outdoors again. But how can you be sure the wine you are pouring is the perfect one for you? Penn State commencement is drawing near, and there’s no better place to celebrate than Happy Valley. In the mood for a little baseball? 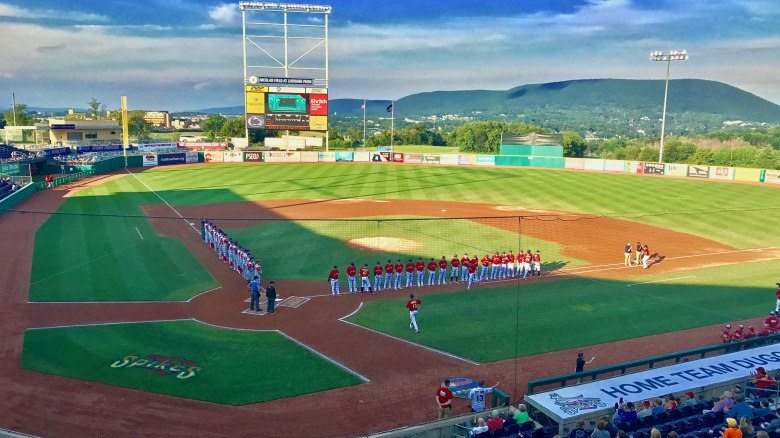 The mighty State College Spikes are embarking on a new season of ball, and if you’re planning to make it out to a game, you’re in luck. There’s no shortage of fun activities to partake in when you’re visiting Happy Valley. James Franklin gives an overview of the Penn State football program heading into spring practice. Here's his entire opening statement when he met with the media on Wednesday, March 13, 2019. James Franklin talks about developing leadership on his young (and talented) team and his approach to selecting captains this season. James Franklin discusses Micah Parsons' development as a player and person, having a lifelong growth mindset, and how the impact of Penn State football helps with this process. New special teams coordinator Joe Lorig explains his coaching philosophy and what he emphasizes on the field. New special teams coordinator Joe Lorig on James Franklin, when the two coached at Idaho State.